I was going to make a Sprite/Pixie but I couldn't make her small enough. The shortest I could get was 4'6". 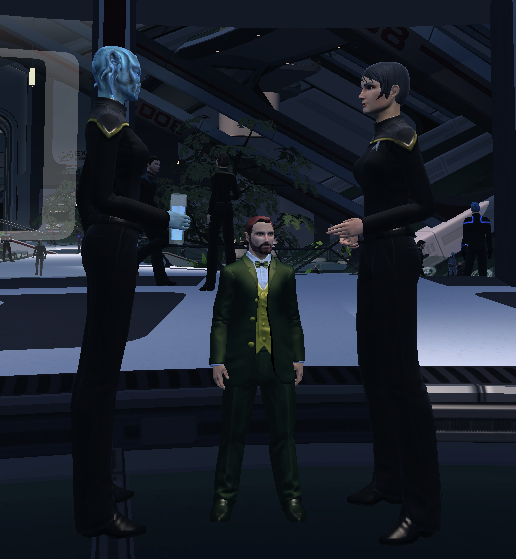 He really needs the hat to complete the look, but STO hasn't added that to the formal outfit. Now you need to buy a Colorful Party Horn from the exchange and you can shoot gold coins.